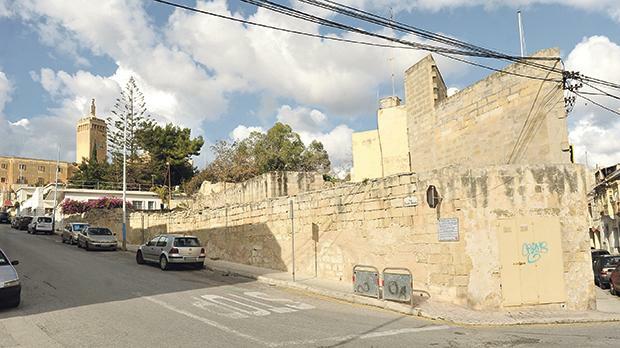 A massive residential block of 114 apartments, spread over six floors with underlying shops and garages, has been proposed for a spot adjacent to Fatima church at Pietà, replacing two villas and a farmhouse. The project application was submitted to the Planning Authority last May. It is currently undergoing the internal screening process and receiving representations from entities and people. The applicant, Stephen Falzon, is proposing to demolish Villa Gauci and The Orange Grove as well as a dilapidated farmhouse in Triq Santa Monika and Triq id-Duluri in Pietà to construct an office, three retail outlets, 114 one-two- and three-bedroomed apartments including penthouses, a botanic garden, a communal pool and 44 garages over three levels, 25 car spaces, a substation and a refuse area. 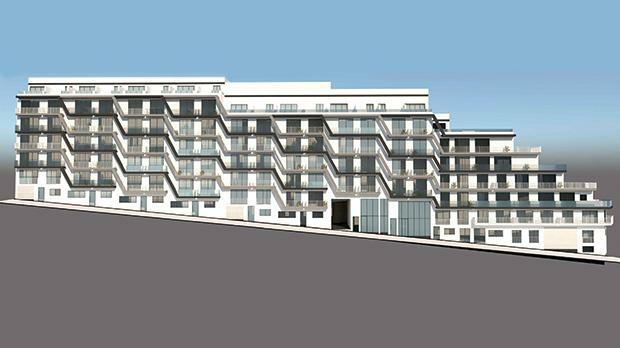 The only representation received so far by the Planning Authority was from the Environment and Resources Authority which asked for more information from the applicant and architect in order to assess the project from an environmental point of view and to determine whether the proposal requires any further studies. It asked for the total gross floor area of the proposed development according to EIA Regulations as well as the projected increase in traffic flows in annual average daily traffic, taking into consideration all the development interventions on site. Just a stone’s throw away, in March 2017 the Planning Authority gave its blessing to the rehabilitation of the historic Blackley Bakery, which has remained in disrepair for years and which will be turned into offices and apartments. First opened in 1907, Blackley Bakery was equipped with the most advanced machinery available at the time. It included a two-storey home, Kington House, and housing for employees. A yard between the buildings includes a number of storerooms, workshops and stables used to deliver goods across the island. The proposal, approved by the PA with eight votes in favour and two against, will restore the Grade 2 scheduled bakery to be used as offices, adding an additional recessed floor. The interiors of the scheduled Kington House and workers’ dwellings will be demolished and converted into apartments, although the facades will be retained and restored, and the Kington House entrance hallway reconstructed. Two additional floors, one of which will be recessed, will be added on the two buildings to accommodate more residences. The Superintendence for Cultural Heritage and other heritage bodies had raised no objections to the development.